In collaboration with Ary Perez. A series of sound art pieces composed for the ENERGIA Exhibition at Sesc Itaquera – Sao Paulo – Brazil. 1400 sq meters of interactive panels, objects and videos designed to explain to young people the principles and importance of energy sources. 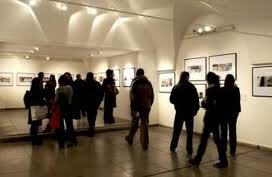 The exhibition was visited by 150.000 people. A surround Sound art piece composed for the collective exhibition at the Centro Cultural Recoleta in Buenos Aires – Argentina. Presented during the release of the novel El Relicario, Editora Planeta.